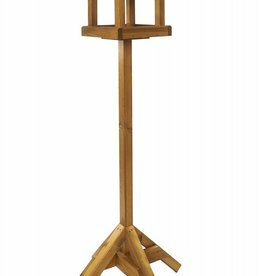 Wooden and metal feeding stations and tables and accessories to keep them clean. 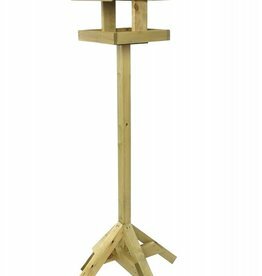 Tom Chambers Classic Wild Bird Feeding Station 220cm. An all in one Dining Station for feeding, watering and bathing. Tom Chambers Everyday Wild Bird Feeding Station 210cm. 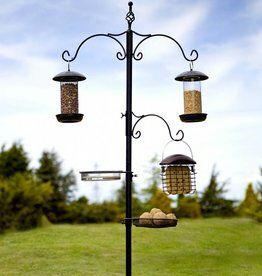 Perfect for any size garden, and those wishing to begin with bird feeding. 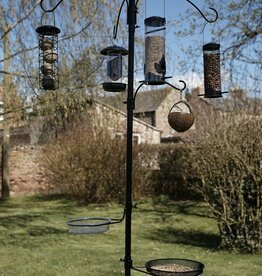 Tom Chambers Nut 'n' Seed Wild Bird Feeding Station 230cm. This Dining Station has a 4 armed bracket with finial, and a single side bracket. Also includes some feeders. 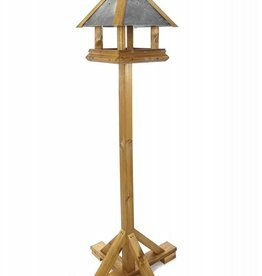 Tom Chambers Wild Bird Station Patio Stand. 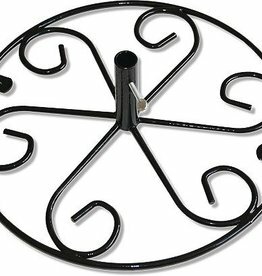 Designed to allow Bird Dining Stations to be used on a patio or any hard surface. With screw holes for fixing down. 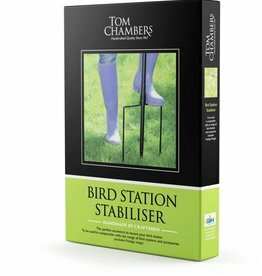 Tom Chambers Wild Bird Station Stabiliser. 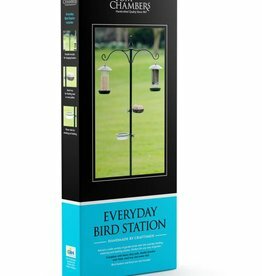 To add stability to a bird station. With 2 prongs to push into the ground. 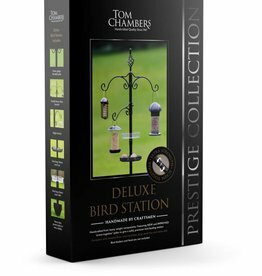 Tom Chambers Wild Bird Table Stabiliser Pegs 6 pack. 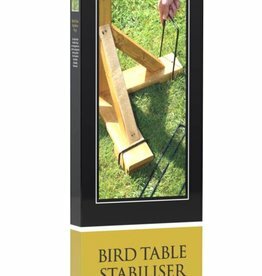 Heavy duty stabiliser pegs for fixing bird tables firmly into position on lawns or any soft ground.